Below are the Before and After images of the Tummy Tuck procedures provided at Younique Cosmetic Surgery and Med Spa. This woman was interested in a significant improvement to her abdomin after having had children. 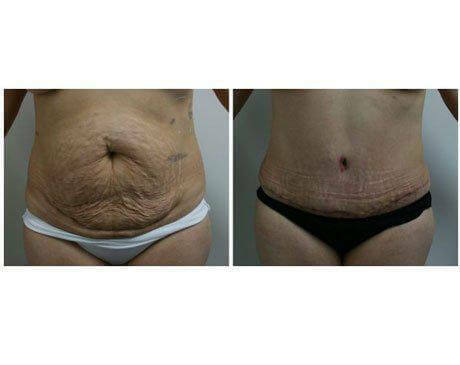 Dr. Mark Youssef performed a full tummy tuck and was able to narrow her waist, tighten her abdominal muscles that had been stretched from pregnancy, and remove a large amount of excess skin and fat to create a dramatic improvement. This woman was interested in improving the shape of her abdomen after having had children. Dr. Mark Youssef performed a full abdominoplasty (tummy tuck) with an incision hidden low and flat in her bikini line as well as an incision around her belly button. This approach created a dramatic improvement in the contour and shape of her tummy, as seen in her postop photo. *tattoo has been blurred to protect the identity of our patient. This very fit woman in her 30s was interested in improving the contour of her abdomen and removing excess skin that could not be corrected with diet and exercise alone. Dr. Mark Youssef performed a full abdominoplasty (tummy tuck) with an incision hidden low and flat in her bikini line as well as an incision around her belly button. This approach created a dramatic improvement in the contour and shape of her tummy. This young woman had had several kids and the pregnancies had left her tummy with lots of loose skin as well as loose muscle. Dr. Mark Youssef did a tummy tuck as well as some liposuction on the hips. The incision was placed below the hips so the scar would be hidden by underwear or a bikini.